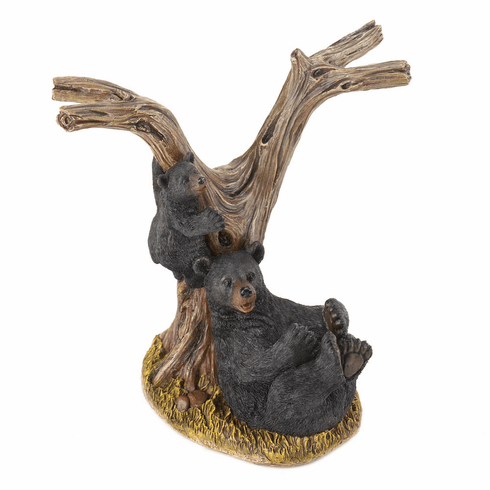 Two playful black bears are ready to show off your favorite bottle of wine, along with two wine glasses, upon your bar or countertop. 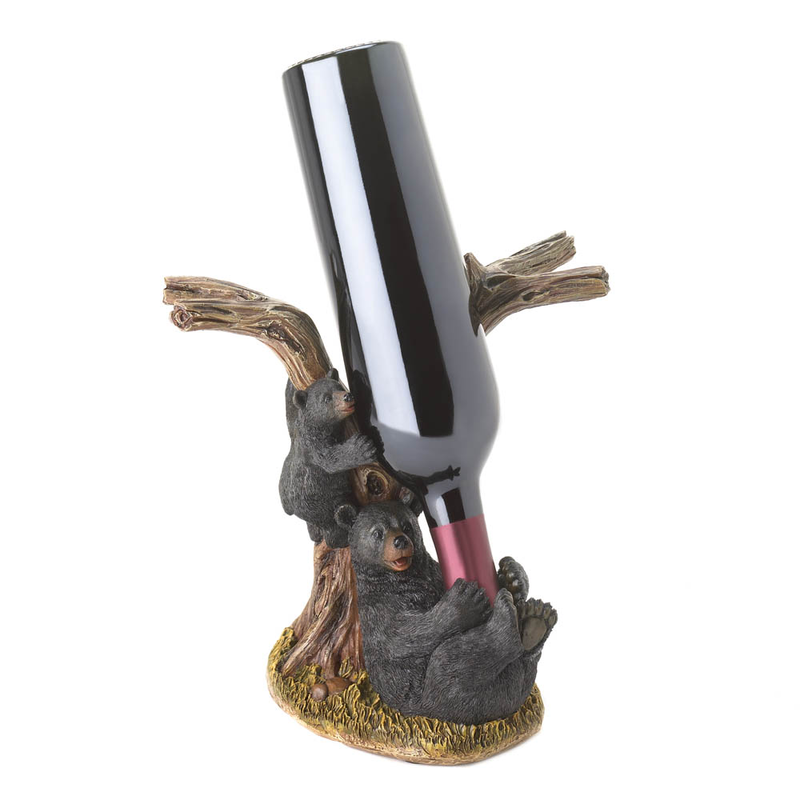 This polyresin carving features a baby black bear climbing a tree while big brother black bear awaits your favorite standard-size bottle of wine and standard-size stemmed wine glasses. Item weight: 1.8 lbs. 9½" x 8" x 8¾" high. Polyresin. 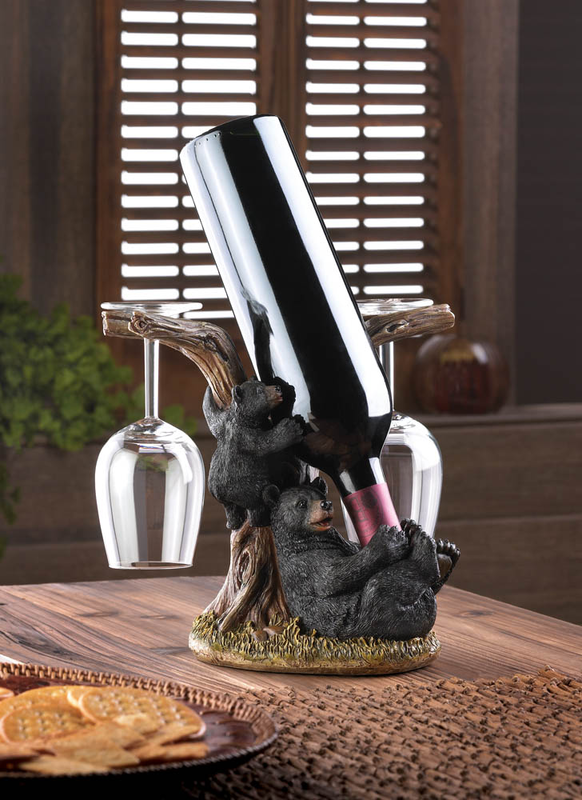 Wine bottle and glasses not included. UPC: 849179019860.